Everything you need to get started with Herbalism…in a box. Do you want to make your own home remedies? 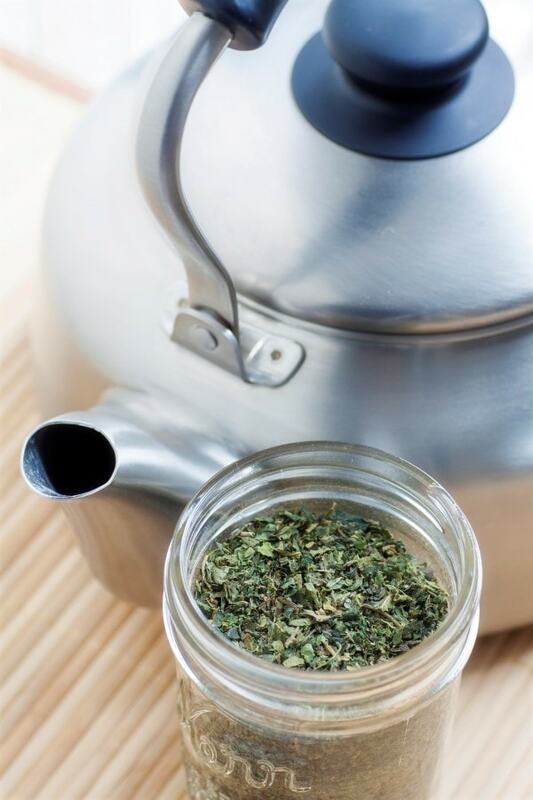 There’s a good chance that you’ve purchased herbal teas, extracts or salves for a cold or a minor first aid situation. Wouldn’t it be awesome to make those same herbal remedies yourself? As long as there have been people on this Earth, there have been people making herbal remedies. In fact, even in the 21st century most humans on the planet use herbs for healing. Helping ourselves heal and stay healthy with herbs is as simple and natural as the plants themselves. So, why does becoming a home remedy maker or herbalist feel overwhelming and complex? Well, some people would rather this remain a mystery to you or a be hard goal to reach. Also, we live in a world of information overload. Even if you find good information, you might not be sure if you can trust it. When I started teaching herbalism, everyone I taught had that same reaction. Sometimes you just need a hands-on “do it now, read later” experience to get you started. You don’t need to figure out which herbs and supplies to buy, or even where to buy them. We did all the work for you. The included videos and written instructions walk you through using the materials in the Kit, step-by-step. Empowering. Be confident using Herbs. The Herbal Remedy Kit will help you learn how to take care of your family naturally, which is an empowering feeling. When you have done something “hands-on,” you’ll never forget it. You’ll know how to apply the same techniques with other herbs. Extracts (tinctures), salves, syrups and nourishing herbal infusions are foundational remedies for your repertoire. Once you have these down, it is much easier to learn other types of remedies. Save tons of money from now on! If you went to a store and purchased the same remedies you make in the Kit, those remedies would cost you more than the Kit iself. Once you know how to make your own, you could make 10 ounces of tincture for the same amount as 1 ounce would cost in the store. You no longer have to pay $30 for a small bottle of elderberry syrup or even $10 for a small tin of salve. We learn about herbs one experience at a time. Herb to herb, remedy to remedy. You’ll start your own apothecary with your tincture and salve. From there, you can add on many other herbs and remedies that make in other LearningHerbs lessons. Once you complete the Herbal Remedy Kit, you’ll know what to do next. It’s the first step on the path. Inspirational and a lot of fun! If “Potions Class” at Hogwarts ever caught your imagination, then this is the place to start. Once you get bitten by the “herbal bug,” there will be no stopping you. The possibilities and creative ideas are endless! LearningHerbs offers free monthly lessons. A tincture is an extract of an herb in an alcohol base. “Extract” is the proper term, but we use the word “tincture” as that is what most people know it by. Echinacea, the herb, is an immune system stimulant for when you feel a cold coming on and is an excellent anti-bacterial for first aid situations. * We order high quality organic or wildcrafted herbs for the Kit. 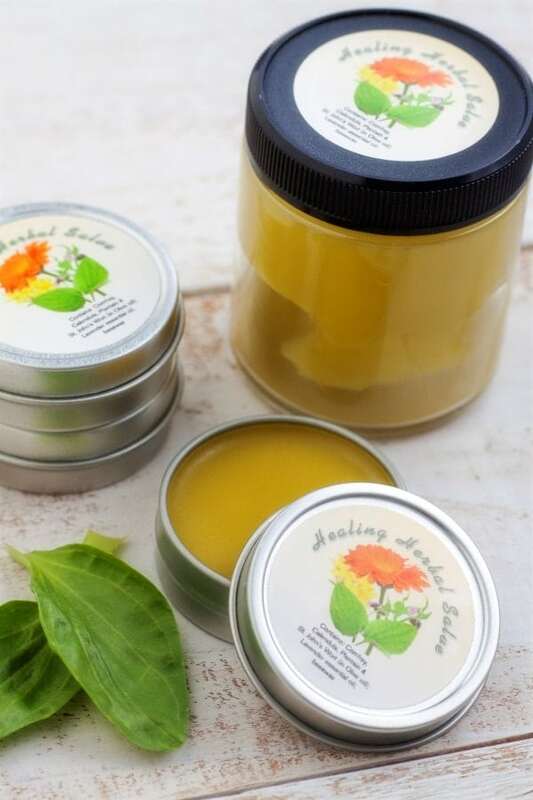 A salve like this is excellent for cuts, scrapes, bumps, bruises, itches, inflammations, diaper rash, chapped lips and more. It’s my FAVORITE recipe and it works great. Our family uses this recipe on everything! We’ll provide you with the herbs for your FIRST nettle infusion, which we hope will be the first of many for you. Nettle is one of the most nutritious herbs on the planet. Learning to make herbal infusions is one of the most rewarding (and easy) ways to get started with herbs. Because you’re extracting the plant naturally, your body receives the nutrients the way nature intended you to digest them. Not in pill, or synthetic form. In the included videos, you’ll also learn about other herbs that you can use in addition to nettles, that help to relieve stress and deliver important vitamins and nutrients to your body. In this lesson we are going to make a syrup using the included dried elderberries (Sambucus nigra). 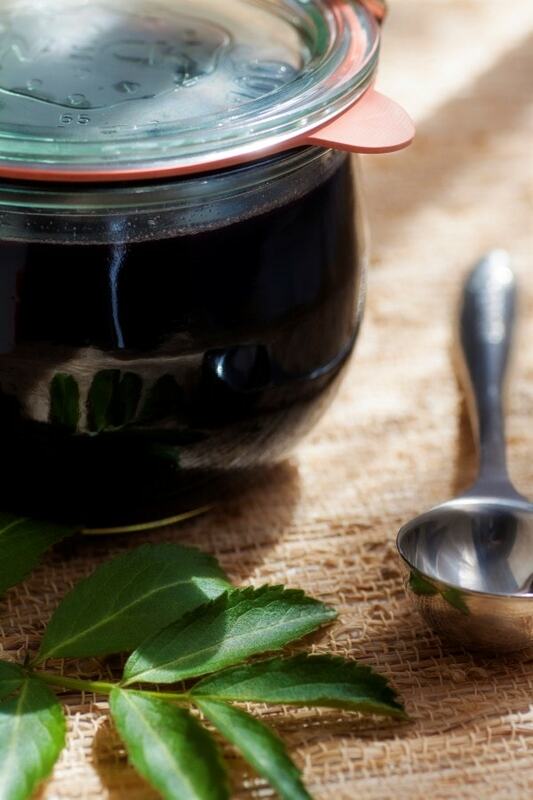 Elderberry syrup is especially helpful for those with colds or flu. The included elderberry will assist with the healing while the added cinnamon, ginger and cloves (from your kitchen) will help the syrup to be warming and the honey adds an antibiotic and quality while also making the syrup soothing for sore throats and coughs. Elderberry itself is also a proven cold and flu preventative. What the kit does not contain is the cup of olive oil and standard cooking equipment (a pan and a few other common kitchen items) needed for the salve, and the 6 ounces of vodka needed for the tincture. The honey and a few basic kitchen spices for the elderberry syrup are also not included. Anything we do not include are easy to find in your kitchen or local market. The purpose of the kit is so you can learn to be self sufficient in herbal remedy making. It’s so you can begin your herbal learning journey and begin to discover how herbs work. We want you to know that herbs are not “drugs” and we want to help you learn how to use them safely and responsibly. Always remember to consult your doctor before using herbs as any information you find online should not be a substitute for the advice provided by your physician or other medical professional. The Herbal Remedy Kit comes with beautiful online training videos, viewable on computers, tablets and smartphones. You can access the videos immediately after you purchase. We also include step-by-step instructions that you can download and print, or view on your screen. We also tell you what supplies you need to gather in your kitchen before you begin. Bonus videos go deep into understanding the remedies and how to create them without the Kit. Our goal is for you to build your home apothecary with herbs you grow, purchase or harvest. To learn more about every herb used in the Kit, we include 6 detailed plant monographs. These beautiful downloads were written by herbalist Rosalee de la Forêt. While you wait for your Kit to arrive in the mail, enjoy our bonus web class that reveals 10 herbs that can radically change your health! We include a colorful card in the Kit box, so the lucky recipient of your gift can instantly access the videos, instructions and bonuses. This kit and course are a great first entry into the world of medicinal herbs. It gets you immediately engaged with the hands-on work so important to developing the first-hand experience that true medical herbalism is always based on. I bought the herbal kit and I love it! I have handed out my salves to friends and family, and they are happily surprised…I am so happy with the kit and you have really kick started a major hobby for me. John makes the first steps of herbal medicine making simple and fun. Practical wisdom made accessible. Inspiring! What a blast! This is just the nudge I needed to get out there and start harvesting and utilizing native plants. Life will never be the same. Thanks John! I never realized how truly simple it can be to introduce healing herbs into my life in an every day way. 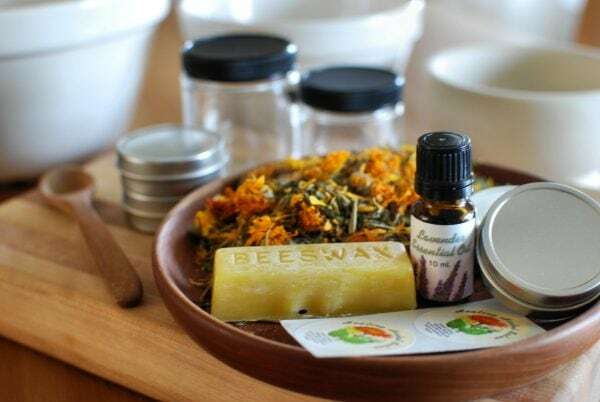 This kit has step-by-step instructions that can lead the most confused of us through medicine, salve, and infusion making and allow us to come out with pride and confidence in our new skills. My family is thoroughly impressed with the healing salve. OMG! My daughter and I both sustained huge scrapes. We used the salve as our first aid treatment and continuously for 3 weeks. The slightest hint of our boo-boo’s remain. I wish I had taken before and after photos as proof of how well it worked for us. THANK YOU for sharing this amazing recipe and product with us. money AND you can KEEP the kit! 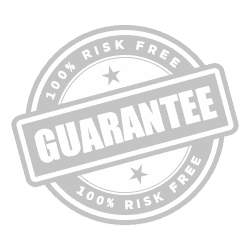 If you are not completely satisfied with the quality, ease of use, and pleasure you’ll get from my herbal starter kit, then we will refund all of your money and you can KEEP the kit! Special! Get FREE SHIPPING on the Herbal Remedy Kit.